Who doesn’t want a cozy comfy corner where one can lay down after a hectic day? It is for this reason that we try to make our bedroom as relaxing as possible. This is what we human beings do for ourselves. What about the pets? Well, pets too get tired and deserve a cozy snuggle where they can lay down and relax. In our article 10 Home Cleanliness Tips for Pet Owners, we talked about bedding thing to make sure they sleep in their bed and don’t lie here and there on your bed. For hygiene reason and for the reason that your pet too deserves a cozy corner, we suggest all you pet owners to find a super cool bed for your pet. Here goes the word of caution-Don’t just go by looks, pick a bed that is visually cool and is easy to clean. 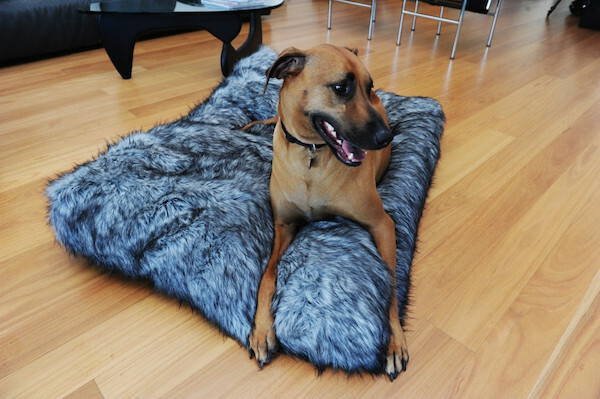 Check out the luxury dog beds that we have hand-picked for all you pet owners to choose from! How about buying a bed for your dog that costs you $3000. 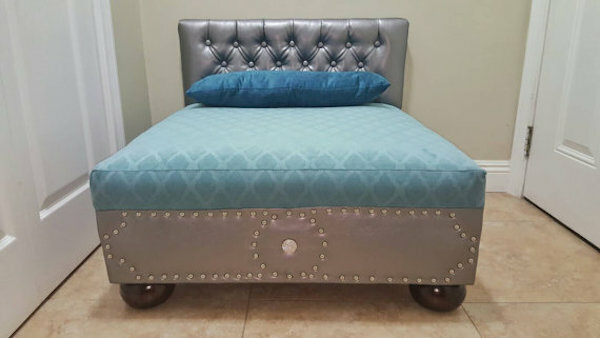 Yes, you read it right, this Italian designer dog bed will cost you $3000 which is a custom design so make sure you measure your pet accurately otherwise you cannot return or exchange it. 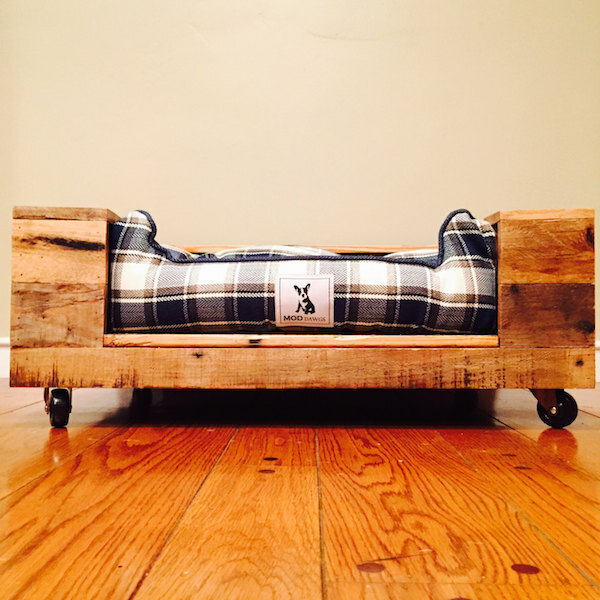 While the first dog bed is for ultra luxurious modern homes, Pallet Wood dog bed is for those classy rustic homes and their pets. Buy it for $225 and show the world of comfort to your dog. A handmade dog bed in which you can choose the pillow color and also add your dog’s name so that it look customized for your dog only. 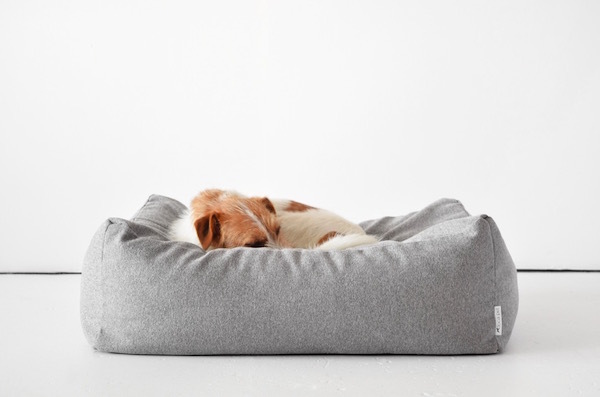 This dog bed is handmade by a small group of women from Nepal. Sheep wool is used to make this basket that will keep your dog warm and cozy. Even, it looks good as a toy storage basket for your kid. Well, my dog looks much better than the one showed in the picture but not the bed. So, I am deciding to buy one for my lab, what about you? 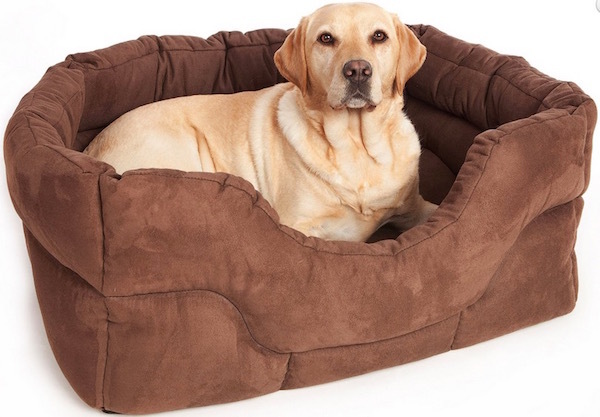 This is an amazing dog bed for sure with enough of cushioning that will make your pet warm and comfortable. It is 100% washable so let your dog play on his bed. 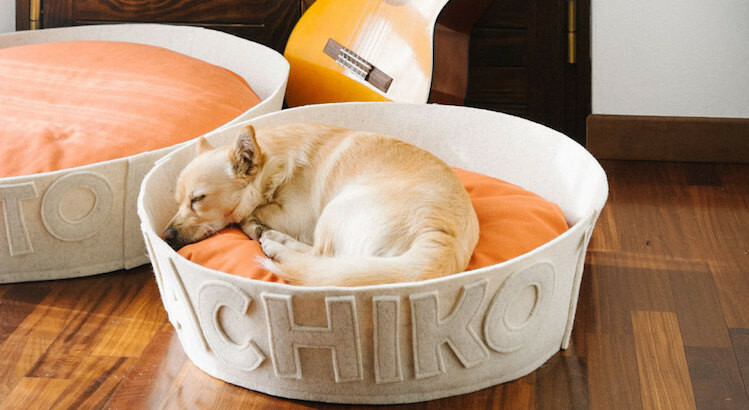 Buy this dog bed to make your pet’s dreams full of travel. If your dog is not leaving the current place, you can also use it as a floor pillow and fill your dreams with travelling. Ah, thats cute! 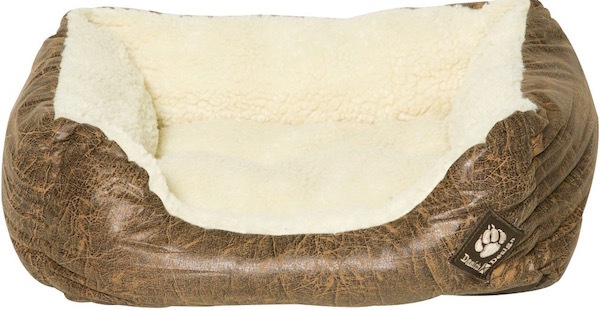 A sheepskin pocket design dog bed that surely keep your dog warm in those harsh winters. It comes with washable poly-cotton cover, brass zipper and spun polyster inner liner. 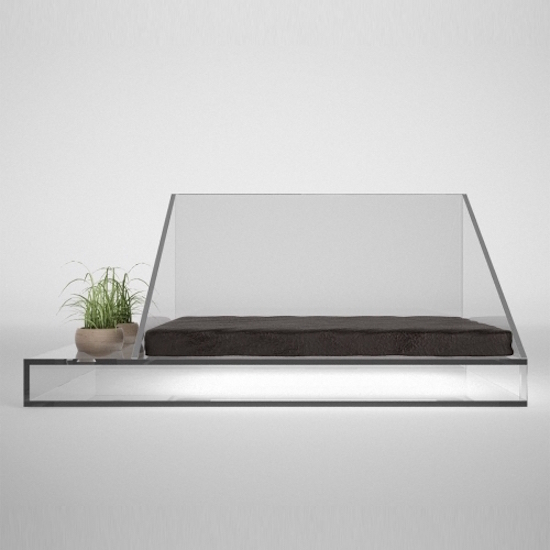 Another luxury designer’s dog bed that will cost you only $139. 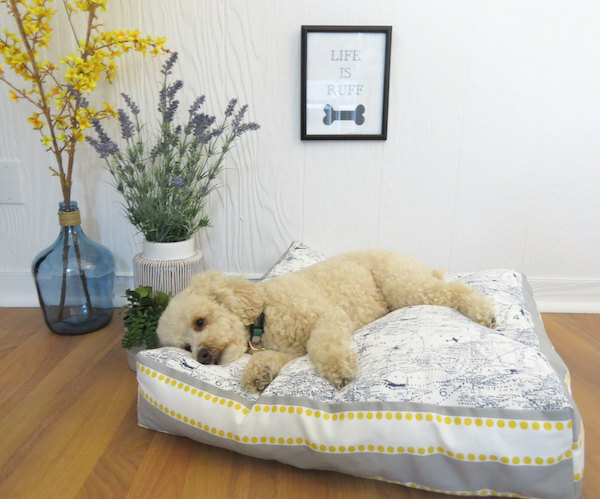 This dog bed is covered with 100% quilted cotton and filled with 100% PET fiber which will give your dog a comfy place to sleep or sit with you in the living room.You will get a drawstring bag and a small toy with the package. I am sure after looking this beautiful cage, you dog will never want to come out of it. 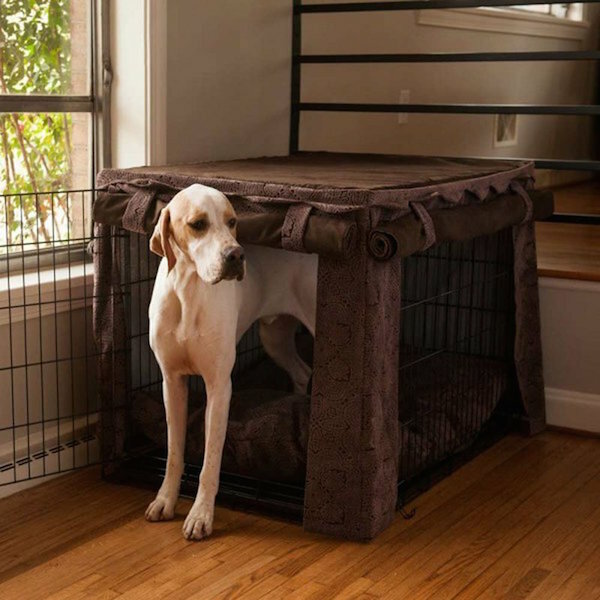 An awesome crate cover that comes with matching pillow bed will surely wow you pet to sleep in it. 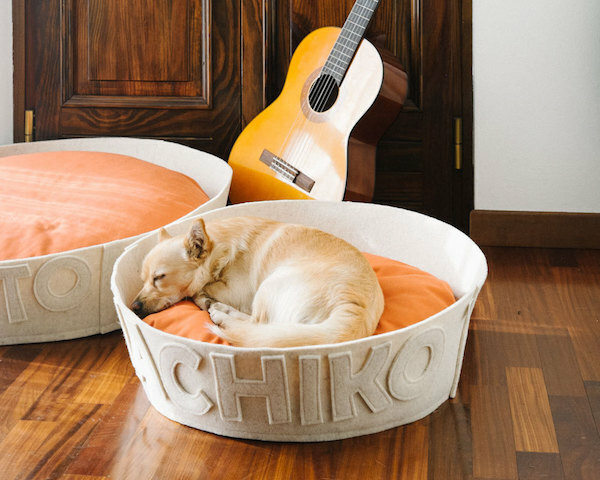 This dog bed is designed by SparkyDogClub that looks minimal in design and add that classy look to living room. While, the outer cover is made by cotton the inner side is denim/suede that looks beautiful. 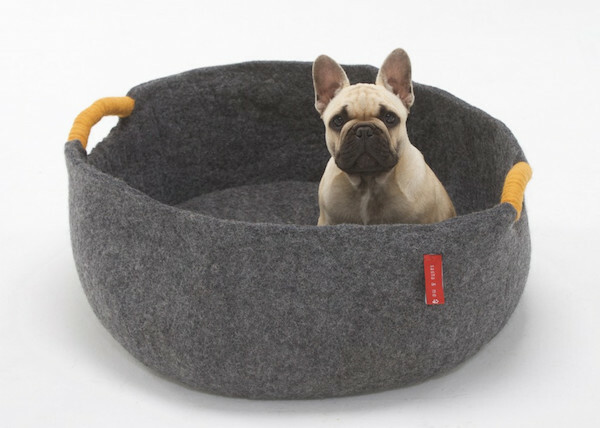 Frankly speaking, even my bad is not that cool in comparison to this dog bed which looks fantastic and cozy. You can too buy it if you are from Los Angeles and want to shell $250 for a dog bed. I am sure if you love your dog, you gonna buy it. Btw, the pillow is included with the bed, you can decide whether you want to give it to the dog or keep it with yourself. A beautiful looking dog bed that works similar to bolster bed. This bed comes with a raised sides so that your dog could rest their head up. 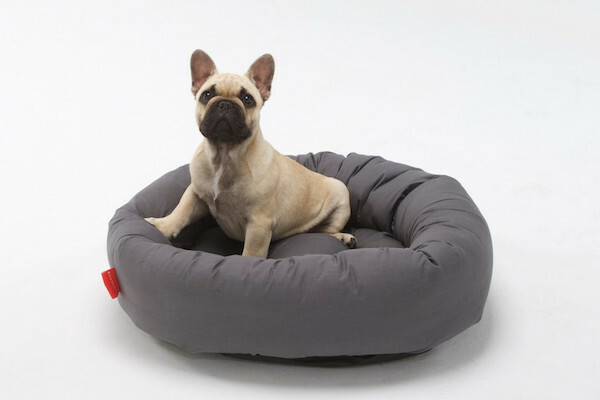 Zz bed is easily washable and comfortable enough for your pet. A beautiful bed for your lovely dog that will make him warm and cozy all night because of its material which is fake faux soft fur. It gives a luxurious look to your living room and easy to clean too. So, don’t wait – order one for your dog as I already did while making the article. 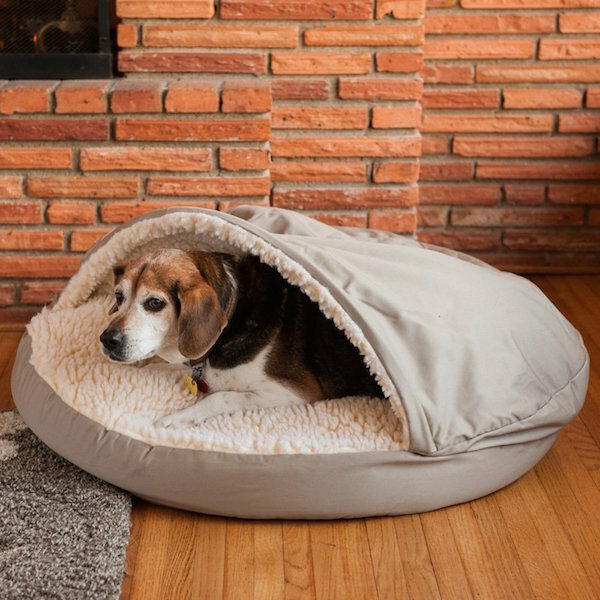 Inspired by the donut shape, this awesome dog bed is just right for those pet who wants to feel secure everytime. Other than dog bed, you can also use it as a travel mat when you remove the inner padding. Even, my sofa is not that soft and comfortable as the one we are talking about here. This dog bed sports a super soft fleece lining and stylish distressed leather texture on the exterior that looks just awesome and surely enhance your home’s decor too. Your pet don’t give a damn about New York city skyline but he/she will surely love to sit, sleep or relax on this comfortable bed. It surely add charm to your home decor as well. Which of the bed did you like and would want to go for your cute pet? Why not click the picture of the bed you bought for your pet and share with us all. Don’t miss your pet. Make it sit in the bed and click the picture. We would love to see your pet’s picture along with the cozy bed it has. 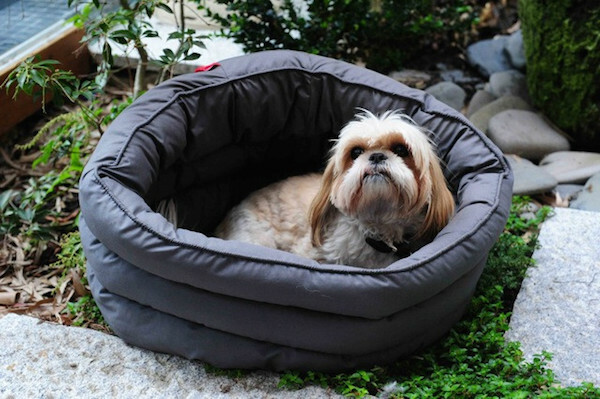 If you have any luxury dog beds that you came across, don’t forget to share with us. Very nice selection of various dog beds. Another idea I love is to make dog beds with pics of your dog on them.